For this year’s World Whisky Day we promised to shine a spotlight on the whole whisky family, putting your stories at the heart of the celebration. And the whole broad spectrum of whisky fans came together in record numbers to mark the day – everyone from geeks to greenhorns and makers to mixologists. Hundreds of official registered events took place, covering all seven continents and circling the globe east to west, from the first in Tonga to the last in Tahiti. Nearly 26,000 people attended official events ranging from large-scale tasting festivals to family parties. Highlights ranged from a 300-ft bear being carved out on a hill above the Lindores Abbey Distillery and set alight, to research scientists sharing their private whisky collections in Antarctica. In Edinburgh, our very own Human Bar was dishing out drams and cocktail samples on top of Calton Hill (this time with the help of the Whisky Wheel of Fortune), and our HQ party at Fireside included games, music and a series of whisky talks and tasting sessions. As part of our ‘You Deserve a Dram’ campaign, many of you took the opportunity to spread a bit of love by telling us about the wonderful friends and family members in your life who deserve a dram, and why. We received dozens of stories about deserving drammers – selfless friends and neighbours, family members battling bravely with illness, whisky mentors, unstoppable charity workers (including a 106-year-old! ), and legends of the whisky industry. You can read some of the best stories here. World Whisky Day is always an incredibly social phenomenon with many sharing their plans and drams for the day across social media. Even with the Royal Wedding dominating the day’s news agenda, #WorldWhiskyDay was still trending on Twitter in the UK and throughout the day we brought the whisky conversation to tens of millions of people on social media. Whisky lovers, brands, bars and bloggers pulled out all the stops to create some great whisky stories for the day. The Moomins revealed plans for a whisky to mark their 75th anniversary with the help of Kyrö Distillery in Finland, over a dozen members of the growing whisky youtube community collaborated on a marathon of whisky-themed live streams while Top Whiskies produced a video tribute to the best whisky moments in the movies. Check out some of our social highlights here. The world’s press helped spread the whisky gospel with scores of stories produced by print, digital and broadcast outlets about and inspired by World Whisky Day. 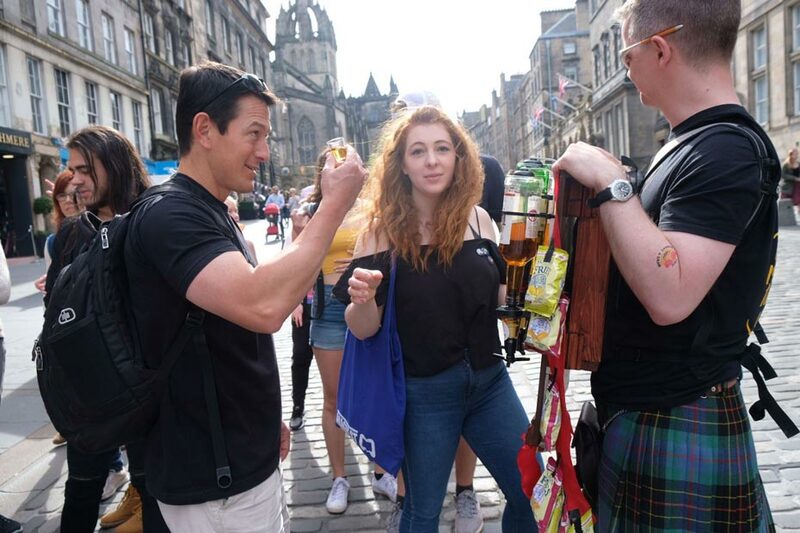 In an interview with World Whisky Day Founder, Blair Bowman, Forbes hailed the event as “probably the largest-ever whisky-related social media project”. The UK Independent was one of many publications to offer World Whisky Day plans as an alternative to the Royal Wedding while the Independent in South Africa was one of many to offer some whisky recommendations for the day. The Economic Times in India offered up some cocktail suggestions and the South China Morning Post previewed a whisky masterclass in Hong Kong. World Whisky Day has also been raising funds again for our charity partner, Just a Drop, by raffling off a unique collection of more than 40 bottles of whisky.